Today’s book was written by a personal friend of mine-Pastor Rich Etta Weathersbee. This book is a very personal story of transformation and deliverance. I was very interested in this short book, because it truly gave good examples of good and bad things happening in your life and how you can get over them. Pastor Rich Etta is now a sought after speaker/teacher and shares her story and the bible across the USA and other countries. Her life is a living testimony of what can happen if we choose to put our hands in God’s hands. 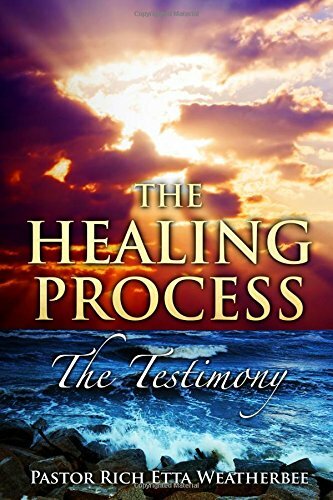 I recommend you get this book The Healing Process at Amazon.com. You will be encouraged and uplifted.